The B&S 3148 Challenger II Custom “Elaboration” and “Vintage” Flugelhorns are a top choice among musicians due to their very smooth sound and versatility. The lightweight design features a .409” bore and bottom-sprung Monel pistons for the quickest response and valve action. 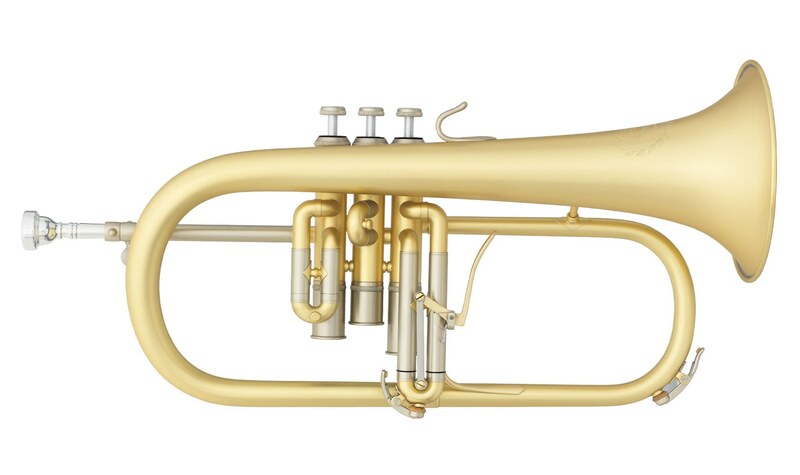 This flugelhorn comes in two very unique surface treatments – our special “Elaboration” finish has a brushed, bead-blasted look while our special “Vintage” finish gives the horn a darkened aged texture to the brass. Features : Compact "American" design, vertical valve slides with exchangeable long bottom caps, 3rd valve slide trigger, quiet felt valve cap in-lays, o-ring dampeners for 1st/3rd slides.